In countries like Russia, China and India, where the internet speed is still relatively slow compared to other countries, users must be very careful about the upload speeds that they are reporting to the trackers. Users from these countries that spoof their uploads will most likely get banned immediately. That is where Torrent Ratio can be extremely beneficial to these users. Torrent Ratio Keeper has included features like “Seeder Mode” and the ability to show “downloaded files as uploaded” in order to protect these users from reporting unrealistic values, which will result in a permanent ban. The program will slow down the values and report more natural looking stats for countries with lower internet speeds. Otherwise, it’s just too obvious to the administrators that the upload amounts are faked. Most torrent providers place set parameters to search for individuals that could quite possibly be abusing the system. A surge in uploads from these regions are one of them because it is physically impossible to reach the stated speeds. Torrent Ratio Keeper eliminates this challenge by allowing you to limit uploading on your torrent client (1-3kb/s) and still download whatever you choose. These are realistic numbers for those areas. In addition, if you are from an area with high speed (USA, and Europe) you have the capability of “adding downloaded to uploaded” with ease and cheat upload if you or your ISP has NAT. The best part about this feature is that you will not have other users pulling files off of your hard drive and slowing down your downloads because NAT makes seeding much more difficult. 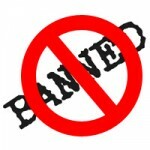 The fear of getting banned from a torrent site is a realistic issue. This happens regularly to downloaders that use inferior cheating software. We were recently asked a few questions about the risks of using our software and we’d like to take this opportunity to address them. When using the option underneath Seeder where it uploads a certain percentage as you download. How risky is it to use that? It seems to good to be true? Using this feature on Torrent Ratio Keeper is not risky at all. If you find yourself unable to upload it’s a great way to boost your number of uploads quickly. Sometimes this will happen when you have a low ISP speed or have nothing to upload. Theoretically, you could get caught because you are basically telling the system that you are uploading several files but there are no leechers for that content. However, it’s difficult for administrators to actually catch anyone doing this because at this time most administrators look at fakers who display unrealistic numbers such as too many uploads in too short of a period. With that being said, if there is an administrator who physically checks stats then they will certainly see this. This is a doubtful scenario though due to the sheer number of uploads/downloads that occur on a daily basis. For someone who gets 512kbp upload what is a safe setting to use? I usually get around 55kb max on upload? For testing I have put to 1000%, but curious your thoughts. You must be careful with this setting because administrators have cheating detection scripts to detect this and will block out abusers to the system. If you live in an area with low bandwidth then this number could be considered a bit risky. We suggest to limit the upload speed to 1-2kb/s and increase upload as needed. I have tried the Seeder mode on two different trackers and when I turned it on, I stopped getting connections. I am not sure which trackers actually work for it but will keep trying. Unfortunately, the administrators caught on to Seeder Mode and they weren’t too happy about this little trick. Because of this, they started using updated tracker scripts to protect against it. When your torrent client shows that it has full file and can seed, torrent tracker stops giving seeds and gives only leechers. If the torrent has no leechers, your torrent client will stop. However, if there are many leechers, your torrent client will download from them. I was able to turn on the part where you enable upload while you download, that worked fine. In fact worked great! But lets say I come to a torrent that has 10 seeds but no leechers I am guessing I should not turn this option on correct? Only do it when a certain number of leechers? I am not sure what to set it to in terms of percentage to not look suspicious, I am not looking for super high ratio just enough so I don’t get banned. Firstly, it’s important to not use evened off numbers (ex: 5, 10, 15, 20). Instead, you want to use a more natural looking number (ex: 3, 7, 12, 14, 19). Testing has shown that “ugly percentages” work much better. If an administrator were to analyze the numbers, a rounded number seems too obvious and stands out a bit more. I also tried turning on the feature where it Block Tracker Communications so nothing counts, but for some reason did not work and my dl ratio still got counted, maybe I just did it wrong, not sure I understand you have to click on it after the torrent starts. I will keep testing it. Once you block the tracker, your torrent client will not be able to connect to it. The tracker will not be able to count any info about your uploads or downloads. It’s important to keep in mind that a few private trackers support DHT. If you block the tracker, your torrent client still can use DHT. This is a great solution because you are downloading through DHT seeders and no traffic is on the tracker’s stats. This entry was posted on Tuesday, December 7th, 2010 at 08:40	and is filed under Cheating rules. You can follow any responses to this entry through the RSS 2.0 feed. Both comments and pings are currently closed. how about emulate upload prolems,how does it work?And if i want to seed while downloading,What sould i choose? The tracker will not get any upload reports from your Torrent Client. You can use it with the Seeder mode to emulate network problems (Tracker will not count your upload/download at all). The tracker will see your Torrent Client as a seeder. Your Torrent Client will not send any reports about downloaded files. Note: A few torrent trackers don’t give seeds for the seeders. if Seeder Mode is on you will have low download speed or no downloading at all on these trackers.